Why Practice Pilates Yoga Fusion? People often ask, “Should I do Pilates? Will it be right for me?” I recommend that everyone practice Pilates. As far as it being “right”, it depends on your goals and instructor. There are as many styles of Pilates as there are instructors. Whether your goal is slower-paced, controlled core strengthening and stretching or a faster-paced power Pilates, talk with the instructor. An instructor worth your time, should make time for you! Show up early for class or contact the instructor in advance. Ask about their training, years experience, teaching philosophy and style. It’s okay to interview an instructor. What about the “Yoga Fusion” part of class? When Joseph Pilates designed his method, all exercises were performed on the floor. Adding a touch of yoga, we find our way to standing. Standing balance takes core strength into our every day routine. Let’s not simply strengthen our core on the floor but let’s integrate core strength into full body movement. Pilates Yoga Fusion combines challenging yet playful movements that create an opportunity for self-competitiveness, a sense of accomplishment and fun. The physical benefits of Pilates Yoga Fusion are similar to other forms of exercise: greater strength, endurance and muscle tone. When practiced regularly participants have noted other key improvements: improved coordination and alignment, better balance and stability, increased flexibility, and movement becomes more graceful and coordinated as the sides of the body are brought into balance. Activities of daily living become easier. Also, breathing will improve, stress levels reduced and the mind-body connection enhanced. 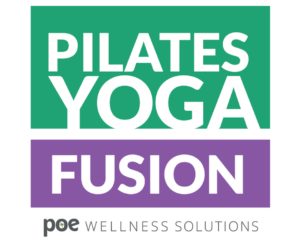 Find a Pilates Fusion Class & Payment Options! SPECIAL NOTE: I am shocked by the number of people afraid to attend a Pilates class. Pilates is about controlled movement, your controlled movement. First you learn the movements. As you get stronger and more comfortable, challenge yourself as much as you like. I earned my first Pilates certification in 2004. I was very intimidated by all the details and had concerns about being prepared to teach a safe class for a variety of levels. My personal practice continued to grow and during 2009-2010, I continued my training at Pilates of NC, completing both the basic and advanced certifications. I was ready and began teaching. I have loved it ever since. With a strong commitment to the six principles of Pilates, a variety of exercises and poses are incorporated targeting the total body. My style is slower paced, focusing on awareness of breath and moving from the center. We practice stability, safety and fun!